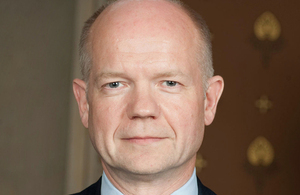 The below speech was made by the Foreign Secretary, William Hague, on 16th October 2012 at the Foreign Office and Commonwealth Office in London. It gives me great pleasure to be able to join you here today for the opening of our new Crisis Centre here at the Foreign and Commonwealth Office. I would like to start by paying tribute to the work of the Crisis Management Department and our whole Consular Team. They work tirelessly, day in and day out, in the evening and at weekends, to make sure that when Britons are in trouble overseas, their safety and security remains our central priority. As Foreign Secretary, my objective is to strengthen the Foreign Office as an institution; striving to achieve excellence in every area of our work. We have launched the biggest drive to enhance cutting edge abilities and diplomatic skills that this Department has ever seen. We are re-opening the language school next year, and spending £1 million pounds more each year teaching languages to our staff. It is why we are strengthening our diplomatic network and, at a time when many countries are closing posts we are opening new Embassies and Consulates around the world and the launch of the new Crisis Centre is another example of that constant drive to be the best at what we do. The way that most members of the public come into contact with the Foreign Office is through our consular service. These services really matter to members of the public, who find themselves in difficult and unfamiliar circumstances. That is why we have made the provision of modern and efficient consular services to British nationals around the world one of the FCO’s three central objectives. It is also why we are trying to make sure that the consular service that we provide is constantly evolving, even if that evolution comes from crisis and sometimes even tragedy. Just a few days ago, on the 10th anniversary of the bombings in Bali, the families and relatives of the victims of that terrible crime, met at the memorial outside the Foreign Office to remember those who were injured and lost their lives. That horrific tragedy led to the creation of our Rapid Deployment Teams; trained volunteers who are prepared to deploy anywhere in the world at a moment’s notice. Over the last ten years they have been deployed more than 50 times to support our staff at post; helping locate missing people, printing emergency travel documents and providing a safe route home for hundreds of nationals who have found themselves caught up in events beyond their control. In the last year our staff, both here in the UK as well as overseas have done their utmost to help those in trouble. For example, they worked painstakingly alongside local authorities to identify the seven Britons who were amongst those killed in the plane crash in Kathmandu. They made sure that when a fire broke out on a cruise ship in Germany with 106 British nationals on board, that the injured were visited in hospital and emergency passports were issued so that everyone could travel home. And when 22 British and Commonwealth nationals were trapped by civil unrest in Tajikistan we worked with other European missions to organise an international convoy to make the difficult 15-hour road journey to safety and ensure that everyone was successfully evacuated. These are just a few of many examples. The opening of the crisis centre here today is indicative of the effort and drive that we put into ensuring that we have one of the most complete and advanced consular services in the world. By their very nature crises are unpredictable events. Last year the Foreign Office experienced a perfect storm of international incidents that required a crisis response. The earthquake in New Zealand, Tsunami in Japan and the events of the Arab Spring all occurred within three months of each other and all of the consequences took place at the same time. 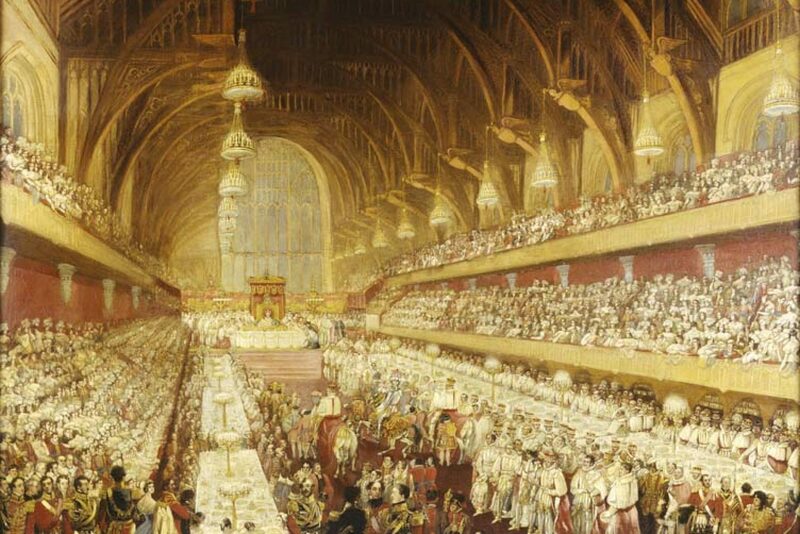 All of these events have been described as once in a lifetime. None of these events were predictable. All involved large numbers of British nationals and all presented their own unique issues and challenges. These challenges, however, provided us with an invaluable opportunity to learn the necessary lessons and refine our approach in crisis management, so that in the future, we are better able to cope with the huge demands that such events place on the Foreign Office, and offer the best possible service to British nationals in trouble overseas. Following the evacuation of our nationals from Libya I launched a review of our evacuation procedures to make a thorough and objective assessment of what had gone well and what we could do to further improve. From that review there were two main areas in which we felt we could strengthen our crisis response. The first was in procedures and preparedness and the second was in resource and capacity. On procedures and preparedness we have adopted a crisis response system used by the emergency services that offers more agile and clearer decision making in a crisis. We have also raised our game on training, running 13 live exercises over the past 12 months at some of our most high risk posts. Set alongside the launch of new guidance for handling a crisis and better support for our diplomatic posts on how to handle a crisis, we are better prepared for when the unexpected happens. On resource and capacity, we have created a new Rapid Deployment Team for the Middle East and South Asia and now have more than 170 trained volunteers who we can deploy, across the globe, to deal with any unfolding crisis. We have increased the number of staff in the Foreign Office dedicated to crisis work from 16 to 26 and have increased the capacity of the crisis centre more than 50% to 110 people. With this new Crisis Centre, for the first time we will be able handle two large scale events simultaneously; operating a centralised command structure, bringing different departments from across Government into a single place, with the right technology available, so that we can help those in trouble overseas. The launch of the Crisis Centre today is another step in a cycle of continuous improvement in the way that we deliver services to the British public. With increasing numbers of British nationals living, working and travelling abroad, and to a more and more diverse range of places, we’ve got to ensure that we are innovative and make the most of emerging tools of communication, such as Twitter and Facebook, so that we can reach and help as many people as possible in a crisis. In the last year alone, these new approaches and our new capacity has been tested no fewer than thirteen times, including evacuating our diplomats and their families from Tehran, helping those involved in the sinking of the Costa Concordia and dealing with the coach crash in France earlier this year. They are proving to be flexible and resilient procedures so far. I hope that we can continue to improve the services and support that we provide, supporting the public when they need us and moving towards our objective of becoming the best diplomatic service in the world.